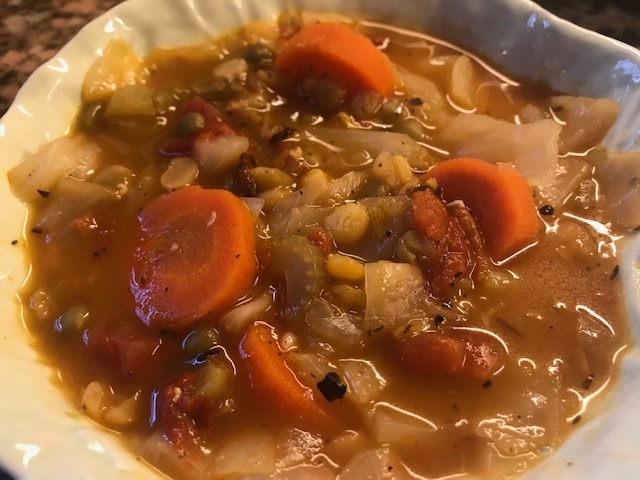 I decided to call this soup Cabbage Confetti Soup, as it is rather colorful, with celery, carrots, fire roasted tomatoes, green and yellow split peas, and finally cabbage. 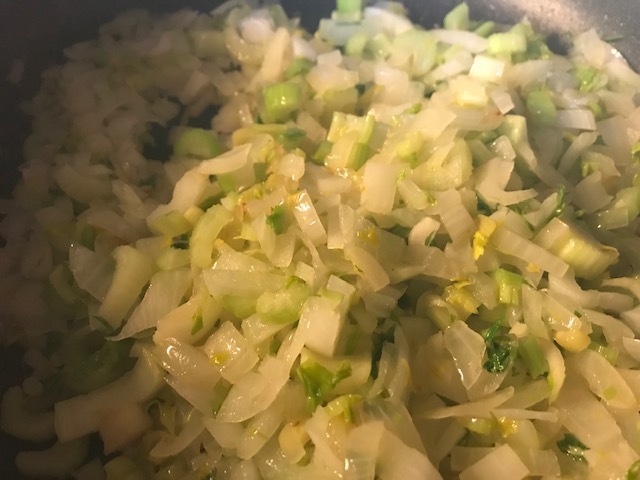 Begin with 1 large yellow onion, and 1 cup of chopped celery. Saute under tender. 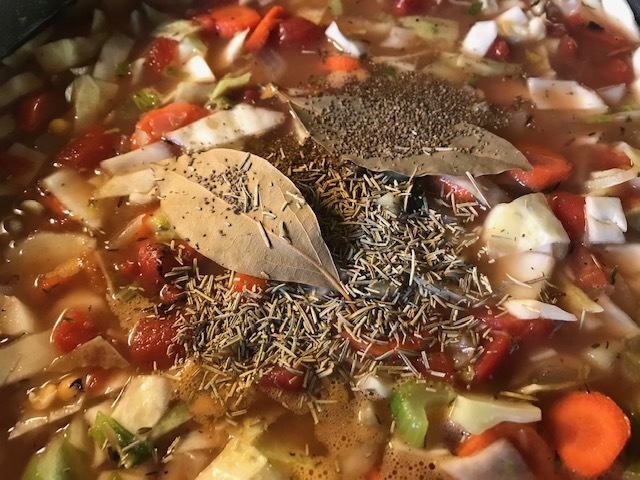 Add in 2 large sliced carrots, 1 large can of fire roasted diced tomatoes, 6 cups of chopped cabbage, 12 cups vegetable broth, 2 bay leaves, 1 teaspoon of celery seed, 2 teaspoons of dried thyme, and 1 teaspoon of dried rosemary. Bring everything to a boil. 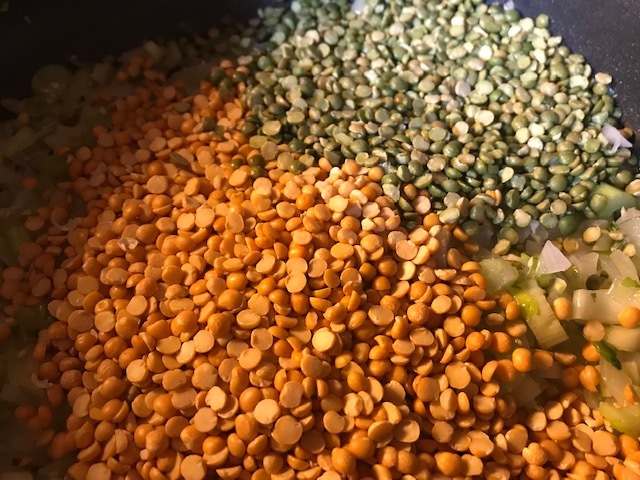 Reduce heat and simmer for 30 minutes, or until split peas are tender. Serve and enjoy! Begin by heating oil in large soup pot. Add onions and celery and saute until tender. Add garlic and continue to saute for another minute, stirring so as not to burn garlic. Add split peas, cabbage, carrots, canned tomatoes, vegetable broth, bay leaves, celery seed, rosemary, and thyme. Bring to a boil. Reduce heat and simmer until peas are tender, about 30 minutes. Season with salt and black pepper to taste. Add in 1 tablespoon of lemon juice. The soup may be served as is with a nice piece of warm, crusty bread. You may also serve it over a bed of wild rice, a delicious addition. The soup freezes well, so have some now, and save some for later. Another idea is to freeze in small batches for lunches. Looks and sounds so yummy. Thanks!